Celebrating its 30th year, Discovery Channel has created a unique niche for the network that continues to evolve with each season. This year featured eight days of shark-centric specials, which wraps up today. But if you somehow missed any of it, you can find them all on demand and on the Discovery GO app. Somehow, educational programming is mixed with the fear of the unknown, which all winds up in a pop-culture edutainment amalgalm. The blurring of those genre lines has led to a record-breaking bonanza of ratings for the channel. Sports fans will definitely recognize more than a few athletes in a variety of programs, as Shaq Does Shark Week kicked off the programming, followed by Ronda Rousey Uncaged and Monster Tag, which featured Aaron Rodgers, Rob Gronkowski and Lindsey Vonn swimming with sharks. The investors of Shark Tank got in on the action, diving for charity. Cash Cab featured Shark Week questions and Shark After Dark was a nightly talk show that showcased a variety of highlights and celebrity guests. Guy Fieri’s Feeding Frenzy, Sharkwrecked, Sharks vs. Dolphins: Face Off and Shark-Croc Showdown were just a few more of the channel’s offerings. Various scientists tagged and released sharks in some shows, as well as some of the more outrageous were shown, including Return of the Mega Shark, Sharks Gone Wild and Naked and Afraid of Sharks. In the pop-culture spectrum, swimming underwater may elicit the fear of drowning and the fear of the unknown, which naturally sparks the attention of horror fans. The fascination of sharks really began with Steven Spielberg’s Jaws (each of the franchise’s movies aired at some point during Shark Week). There’s been a never-ending supply of campy Megalodon movies airing on basic cable throughout the years, which eventually led to the equally campy (although very awesome) Sharknado (and its book of rules: How to Survive a Sharknado). On August 19th, The Last Sharknado: It’s About Time will air. Mashing up time travel with crazy weather-shark attacks? We can’t wait to see it, but only time will tell if it will actually be the final chapter, though. Movies like The Shallows, 47 Meters Down (and its upcoming sequel, 48 Meters Down) and next month’s The Meg all feature underwater misadventures with large creatures. Sense and Sensibility and Sea Monsters was a great classic literature-horror mash-up and James Wan brings a horror perspective to the big screen as Aquaman gets released in December. There’s no shortage of underwater horror for fans of the genre in the foreseeable future. 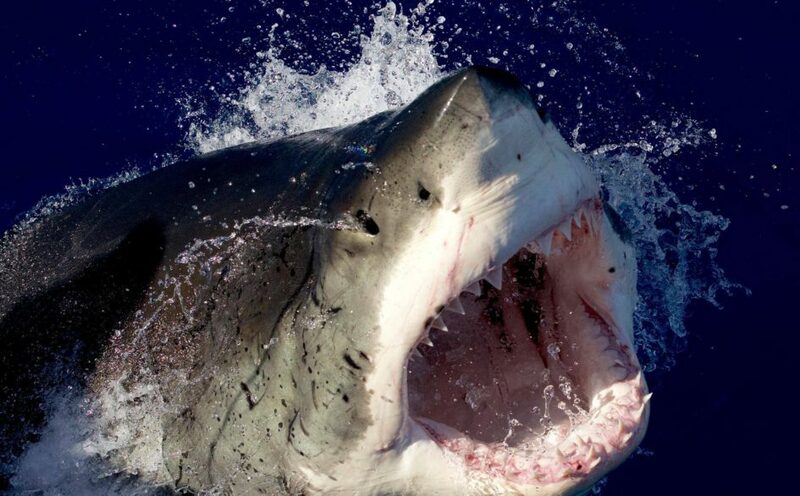 Reality shows, talk shows, education-based, pop-culture based, low-budget or big-budget movies, Shark Week has been a thrill ride in a variety of formats that’s even better in glorious and very GORY high definition. I’ve really enjoyed it all and wonder what lies ahead for next year’s big programming event, which is lurking just below the surface, ready to pounce once more.